Notes By 1940 there was a lack of armoured cars left in Britain, mainly because the BEF had suffered such large losses in France. In North Africa this shortage resulted in the British keeping the aging Roll-Royce in service to make up the numbers. The South Africans had been working on a design along with the US firm Marmon Herrington, and it was the US firm who submitted the design which went on to be the Marmon-Herington Mk. I. This light but mobile 4x2 car had parts sent from America and featured British armament. 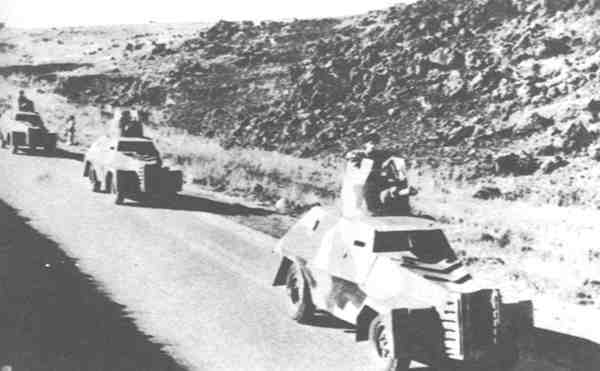 In 1940 these cars were used to equip South African units and served in East Africa.